Love fruit jellies. Try making a fruit mousse. You will really enjoy it. Oh so beautiful looking jelly Shabna. 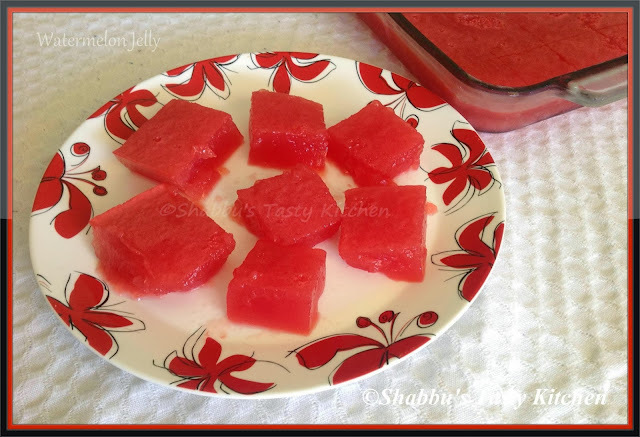 Delightful and colourful watermelon jelly.